Mainland Croatia is split into two parts and to get from the northern section to the southern bit, you drive through the land known as 'Bosnia and Hercegovina', or BiH (for short). So, we decided to go and see a bit while we were there. 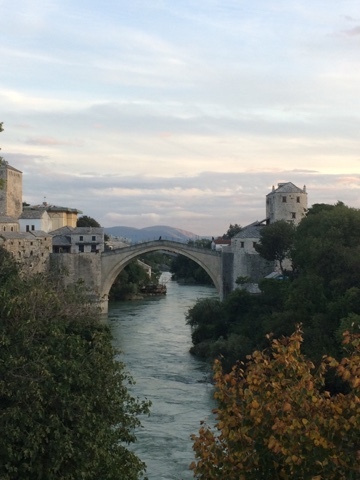 Our primary destination was to see the famous (and UNESCO listed) bridge at Mostar. Lucky there are a few other nearby attractions too, and although we only spent a bit more than 24 hours in BiH we do feel as though we've experienced a bit of it. We visited the stunning castle town of Počitelj, saw the incredible river coming from under the cliff face of Blagaj, stayed overnight in Mostar, and the next day walked Stolac to see the war damage and then followed the agricultural farming valley of the Trebišnjica River on our way back to Croatias southern piece. It was a great excursion. Mostar is famous for its Stari Most bridge which was destroyed in the 1990's but since reconstructed. It's a very touristy place with all the same kind of souvenirs you might expect in Turkey. 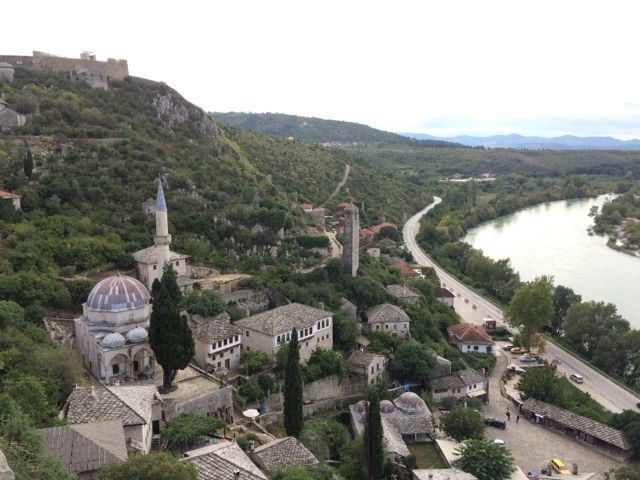 I preferred each of the other places we visited but Stari Most is considered to be a must see! Tips for others: for a little excursion like this into BiH you don't need the local currency, they'll take Euros or Croatian Kunas for entry fees, parking fees, drinks, meals, souvenirs. The fuel price is better than Croatia and you can put that on credit card. BiH will check your cars green card insurance at the border. Mostar's Stari Most bridge in BiH.